UCANDO VCR Educational Products Co.
Prices are US Currency, and donot include shipping and handling. California residents, add 7.25% State Tax. answer book designed to give you the most from your training. 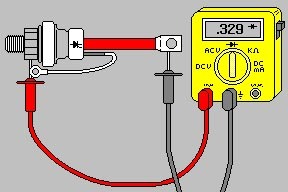 should know and understand hydraulic fundamentals and circuit operation. training time with final exam is 36 hours. experience or training is not a requirement for this training program. 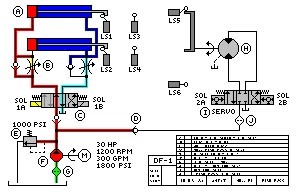 understanding of hydraulic system operation. will learn more than most people learn in a week. covered in this portion of your hydraulic training. water cooled heat exchangers. Testing the heat exchanger for internal leaks is also covered in part 5.
understanding of hydraulic servo valve operation. controls restricting flow and check valves opening and closing under pressure. Learning to read a hydraulic print has never been easier. be implemented to extent the life of almost any piece of hydraulic equipment. and troubleshooting Programmable Logic Control systems. recommended before presenting this training program. these similarities will make learning the PLC system much faster and easier. 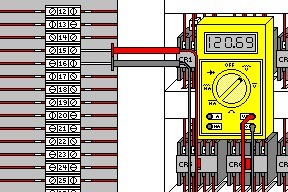 sections of every PLC control system. instruction bits. Next, they will begin to apply these PLC instruction bits to actual PLC ladder diagrams. Common addressing techniques are also covered in part 2.
update instructions and PLC counter instructions in block format. 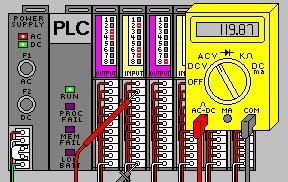 operation of the PLC system. digital in design, this training is vital. are also covered in this portion of the PLC training. to either the input, output or logic section of the PLC controller. the material covered in the previous 7 sessions. final exam is 20 hours. Relay Training Part 1: Day 1 begins with a pretest. components like the 3-phase disconnect and circuit breaker. single phasing and reversing 3-phase motor rotation. rectifier operation, SCR's, triacs and more. session your students will examine cable connectors and terminal strips. followed by all employees or students when working on any electrical system. session, your students will be able to read and understand relay ladder diagrams. administered in this training session. changing the way most factories train their maintenance. course your students will gain an in depth understanding of DC and 3-phase AC motor operation. of both AC and DC motors. necessary for any servo control technician. feedback devices function is vital to repairing downed equipment due to servo malfunctions. goes to the heart and soul of the DC servo control system. pulse width modulation, and chopper control inverter systems. potential capable of running an AC motor. working around any automated piece of equipment.